Don’t assume that companies chipping employees is usually the stuff of dystopian science fiction — it’s here… although it’s better than it sounds. 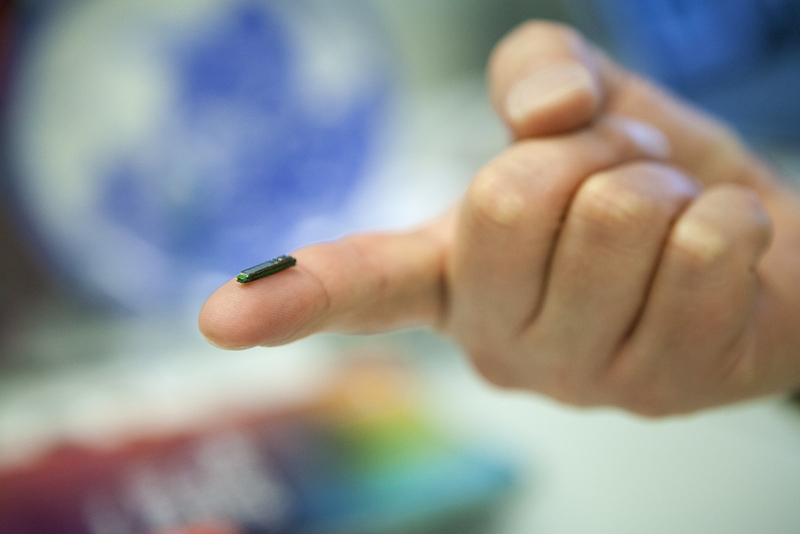 Wisconsin’s Three Square Market is giving employees the option of receiving a rice-sized implant (not pictured above) that will handle authentication for just about everything at work. It’s the first such company-wide move in the US, Three Square claims. The chip will handle payments for food in the break room, front door access and even PC sign-ins. It promises to be very convenient, but it’s easy to see why people would balk at an idea that sounds Orwellian at first blush. Three Square at least appears to be addressing some of those issues, but there are still some problems that are difficult to escape.